*I swear the timing of this post with Valentine’s Day is purely coincidentally. The Grilled Cheese sandwich: The pinnacle of your childhood. The rainy day snack. The easy-to-throw-together dinner now that you’re a lazy adult. Maybe you like to keep it old school with Wonder Bread and a Kraft Single or maybe you like to get fancy with a little Gruyere and sourdough. 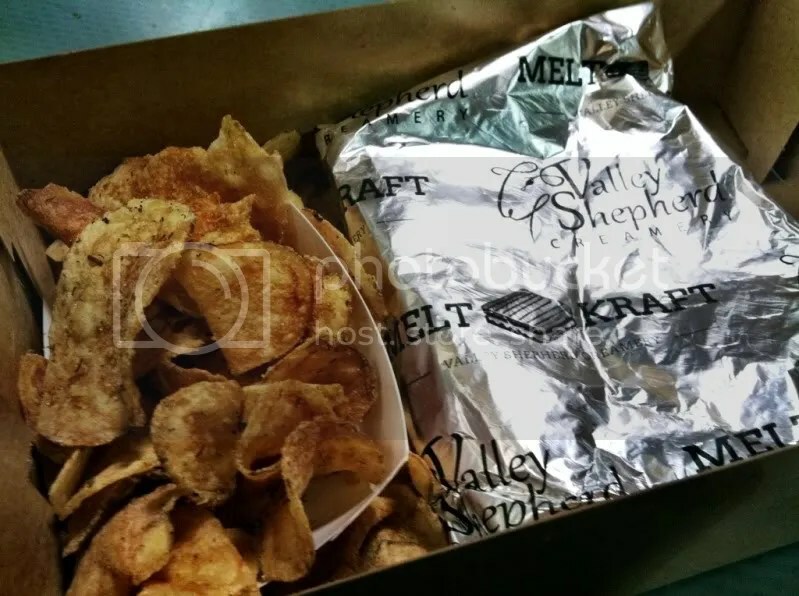 Whatever your pleasure, Valley Shepard Creamery’s newest outpost in Reading Terminal Market – Meltkraft – is putting a twist on your favorite classic. All the cheeses are made on-site, including their mozzarella, which is hand pulled and fresh daily. 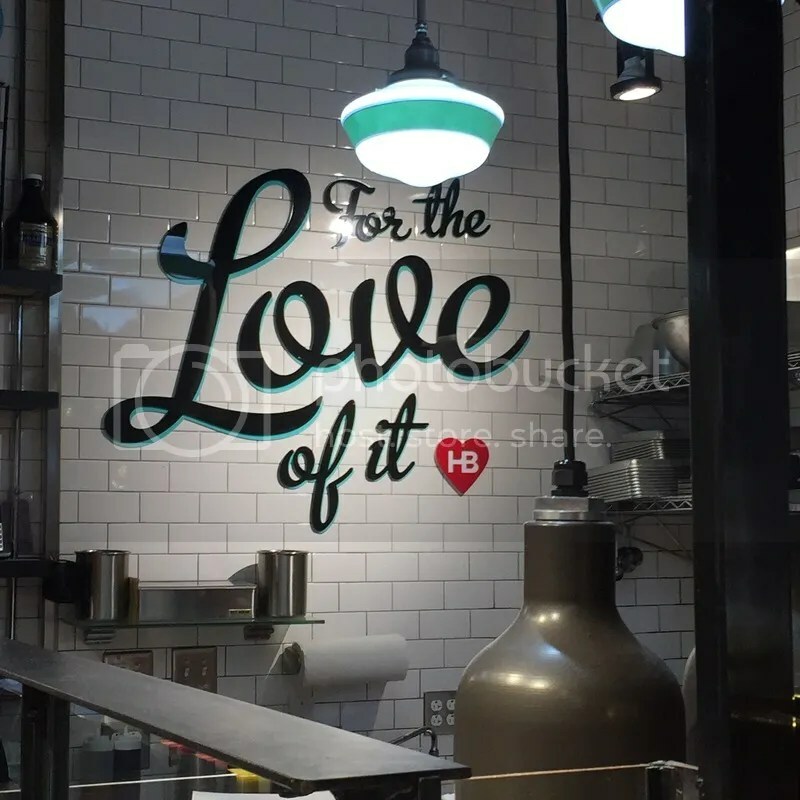 Their sandwiches are panini-pressed and are sure to please the palate; from the Valley Thunder with brisket and mac & cheese to the Somerset, a variation on the Cuban sandwich. 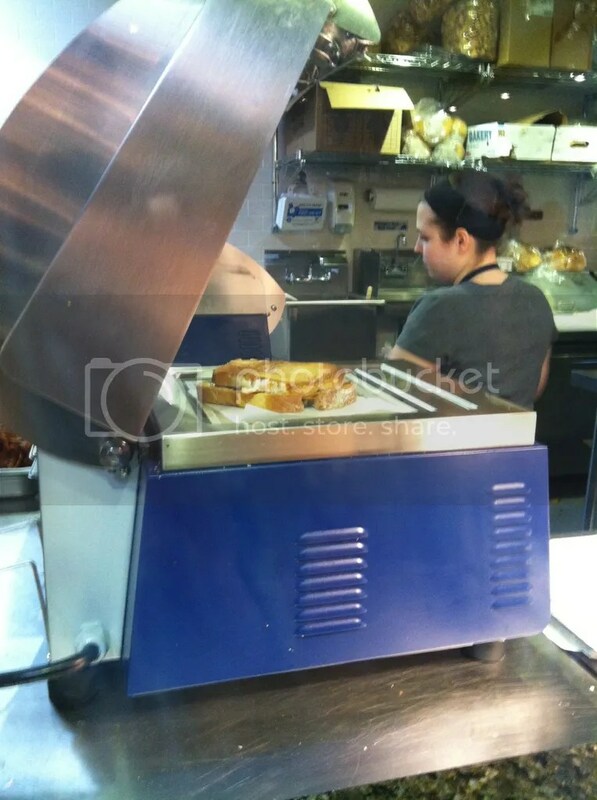 Plus they use this ridiculous, industrial, automatic panini maker! 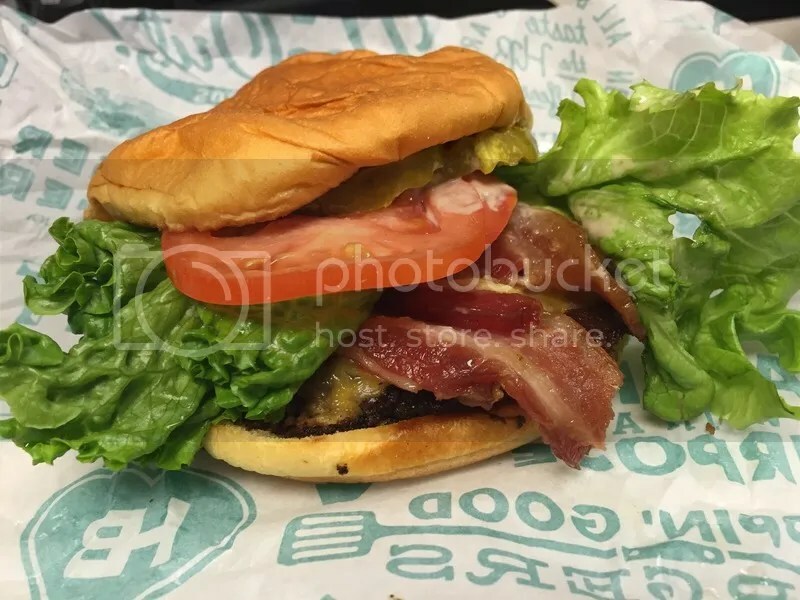 You can also opt to add other things to your sandwich like duck fat, bacon or truffle oil. I decided to go for the Valley Thunder with truffle oil, and was given a choice of sea salt or dill pickle chips on the side. I went with pickle because – duh – when would I ever have pickle chips again? The sandwich was a little more squished then I would have expected, but I guess that’s the nature of the industrial strength beast. I also smelled the truffle oil more then I could taste it, and there was less brisket and mac & cheese in the sandwich then I would have expected, especially in a sandwich I’m paying nearly $10 for (Then again, there’s also the time I paid $17 for a truffle short rib grilled cheese). Maybe this truffle grilled cheese idea is good in theory and not so much in execution. I guess it’s just a case of “Fool me once, fool me twice”. Either way, I’m interested to check out some of their other menu items (including the sandwich with watercress – which the girl who ordered in front of me asked what that was as she was in the middle of ordering said-sandwich), and especially their fresh mozzarella which I anticipate I’ll probably buy and consume by the pound. 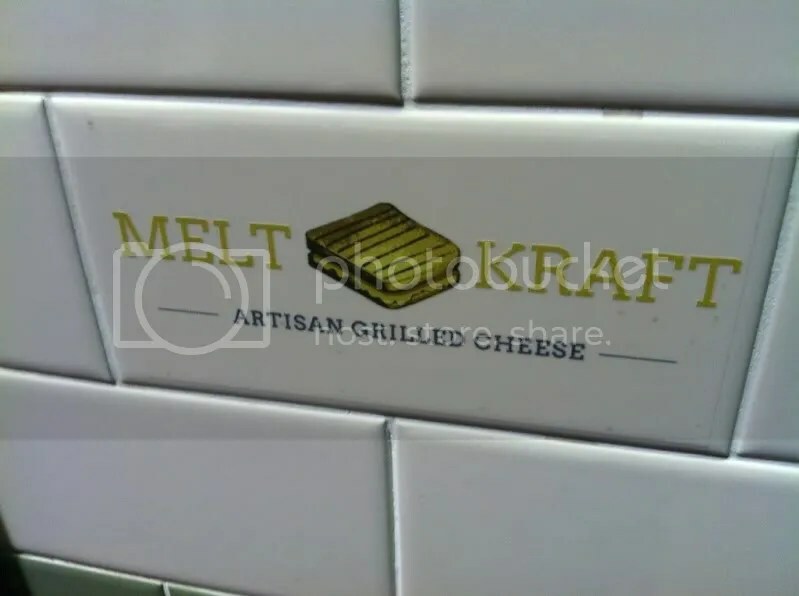 Meltkraft is a great addition to Reading Terminal and sure to create a cult following. 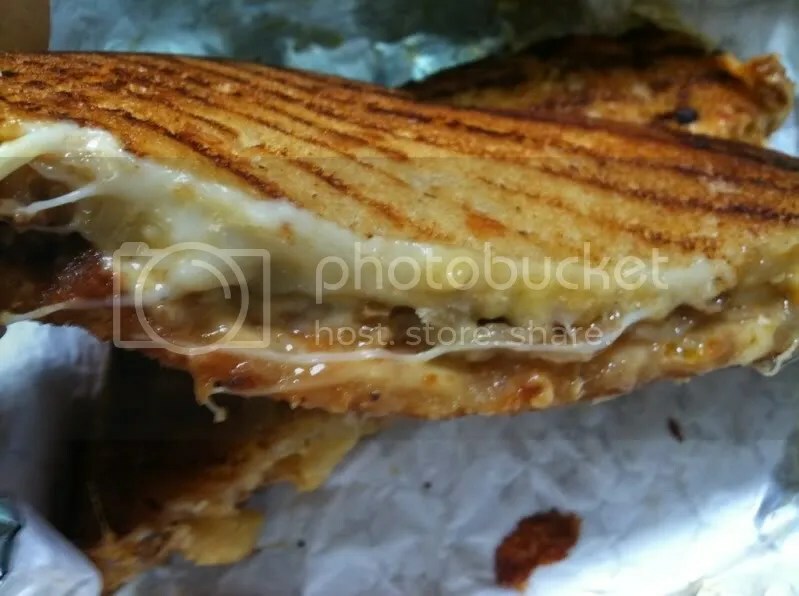 Posted in cheese, duck fat, grilled cheese, meltkraft, Reading Terminal, sandwich, truffle, Uncategorized. Bookmark the permalink.